Helen Brough is presenting 'Deliriously Urbane' at the Coningsby Gallery. 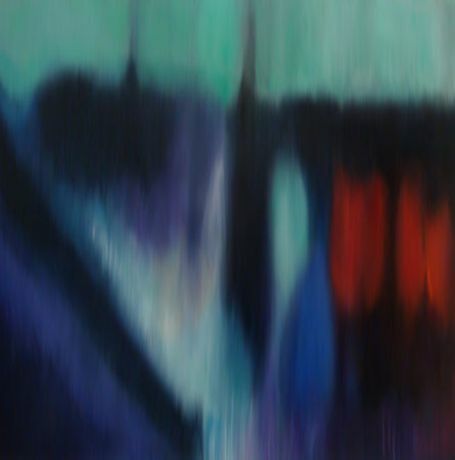 In this new series of oils on aluminium, Brough takes us through the city at different times of the day, immersing us in the colours and textures of places we cannot identify but yet, feel strangely familiar. Brough's urban landscapes are neither naturalistic nor abstract. Suspended in an ambiguous territory that insinuates the urban experience more than the urban space itself, they depict the sensation of city life rather than the city landmarks we may be familiar with. This is Brough's first solo exhibition in London after 15 years in the US where she has exhibited at prominent galleries such as Michel Allen and Elga Wimmer and her work is now in prestigious collections such as the Cantor Fitzgerald collection and William Louis Dreyfus?s personal collection. Brough was also commissioned a site-specific installation by prominent collectors Jane and David Walentas who called Brough's work 'playful, contemporary and a little wild. We thought it was fabulous'. In May 2010, Brough was appointed by Berkshire Kathaway, Warren Buffet's company, as official artist during the Omaha annual meeting.